Get to know the 2018 Ford Focus, a car you’ll love to drive. It handles crisply on the road, provides athletic acceleration, and keeps you engaged every time you’re behind the wheel. What’s more, you can get it as a sedan or hatchback. Both versions of the car are loaded with practical features, so you’ll stay happy with your purchase. And, you benefit from the amazing reputation of Ford cars. 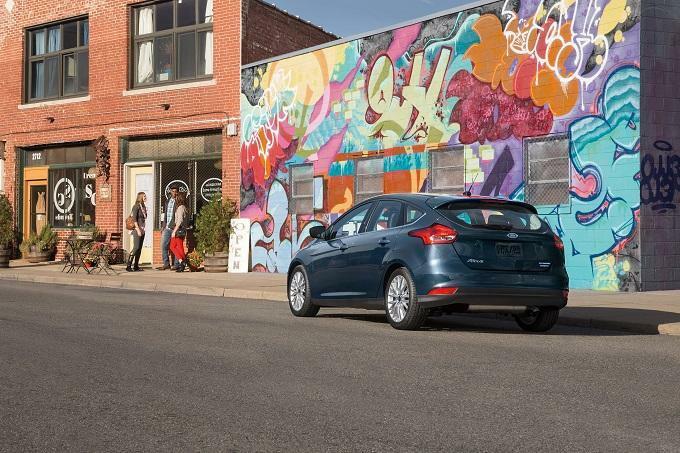 Other cars don’t serve up the kind of performance you enjoy with the Ford Focus. The car covers everything from quick acceleration to dynamic handling. Choose one of four available powertrains and get exactly what you want for the Ford Focus Sedan or the Ford Focus Hatchback. The 1.0-litre EcoBoost provides extreme efficiency and can pair up with a six-speed manual or automatic transmission. Upgrading to the 2.0-litre Ti-VCT four-cylinder engine increases horsepower for brisker acceleration. Of course, if you really want speed, the Ford Focus ST uses a 2.0-litre EcoBoost, putting out a peak 252 horsepower and 270 lb.-ft. of torque. It only comes with a six-speed manual transmission, keeping the experience pure. The limited-edition Ford Focus RS pumps things up further with a 2.3-litre EcoBoost. The peak 350 horsepower and 350 lb.-ft. of torque make for a truly exhilarating experience. All Ford Focus models use Torque Vectoring Control. This technology improves cornering performance, especially in slippery conditions. The electric power-assisted steering helps, providing stability at high speeds and precision when you’re going slow. Instead of just protecting you with airbags, crumple zones, and other structural designs, the Ford Focus uses advanced technologies to avoid accidents. These driver-assist systems constantly monitor for dangers, acting like another set of eyes. One of those systems, blind spot information, uses sensors to detect vehicles in the next lane. A light on the corresponding mirror warns you of the hidden danger, so you’re always aware of what you otherwise wouldn’t see. Rear cross-traffic alert works similarly, only it detects vehicles coming from either side while you’re reversing. A lane-keeping system will prevent the car from drifting on the road, whether it’s from inattention, wind, or other factors. You also get great conveniences with the Ford Focus. That’s important, because a car you drive every day should accommodate whatever you need to accomplish. One of the biggest conveniences you can get on this car is the Sync 3 multimedia centre. It features quick responses to inputs from the touchscreen, plus smart voice commands for hands-free use. It works with Apple CarPlay and Android Auto, so your favorite apps from your phone show up in the car. The system can even come with navigation, which provides turn-by-turn directions. Get in and get going quicker and with less hassle, thanks to the available intelligent access with push-button start. You don’t need to get out a key at any time, since the system detects when your key is near the car. Instead, you just press a button on the exterior handle to unlock the door, then press another button to turn on the engine. 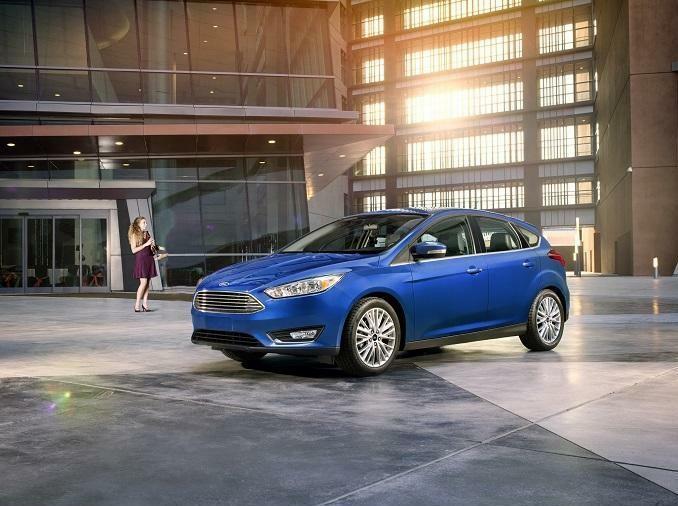 Try out these and other features for the 2018 Ford Focus by coming to Van Isle Ford today.